If you need assistance or advice about a Divorce Application then we can help. If you are considering filing a Divorce Application you should also seek some advice and information about finalising a property settlement. We can help you with that too. Is there any time frame to file a Divorce Application? In simple terms you must be separated for a period of one year in order to file for divorce. This time can also include time that you or your spouse may have lived separately but under the one roof. 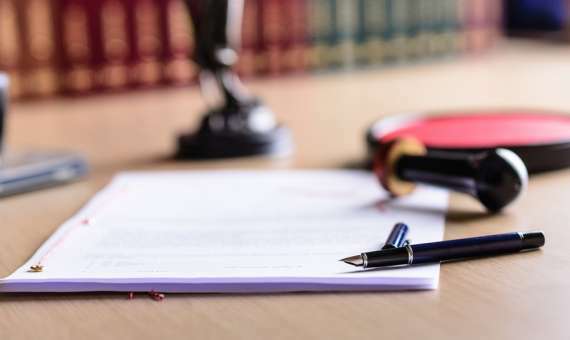 If this is the case you may need to file an additional document called an Affidavit, which will describe or set out the circumstances and details of your living arrangement while separated under the one roof. A Divorce Application is filed in either the Federal Circuit Court of Australia or the Family Court of Australia. Divorce Applications can now be filed online. In order to file a Divorce Application you will also need a copy of your marriage certificate and other citizenship documents (where applicable). Do we need to be in agreement to file a Divorce Application? No you can file for divorce as a sole applicant or jointly if you are in agreement. If you are applying as a sole applicant and you have children under 18 years of age you will be required to attend Court when your divorce is being heard. If you are a sole applicant you will also have to serve the Court documents on your spouse. This is done by personal service and an affidavit of service is filed to advise the Court that the documents have been served. If you make a joint Application you can forgo the service requirement as both parties will sign the Application. You may not have to attend Court either even if you have children under 18 years of age. Talk to Lee-Anne about your Divorce Application and ask about our fixed fee of $770.00. What if we haven’t done a property settlement? If you have not done a property settlement we advise that you seek legal advice immediately because once a divorce Order is made the parties will only have 1 year to either settle their property matters or protect their rights under the Family Law Act 1975. If you fall outside this time you will need to seek leave of the Court to initiate proceedings in respect of a property settlement . This could dramatically increase your legal costs.